The early birds at the renovated Bel Aire Hotel put on a musical marathon today at dawn. 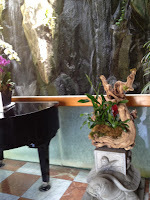 The rambling two story hotel hides in a Edenic garden in a wing of the City of Los Angeles. Purple jacarandas, white swans, and elegance make one swoon. Here the young women who check you in have manners like your mom wishes you had. and bathrooms, designed by the latest artists in Japan, are all electronic. When you walk into the toilet booth the seat top rises up on its own, all flushes without your help and in the end, the toilet seat goes back down automatically. If we could afford these, a lot of marriages might be saved. Lights are turned on by Ipad like computers to which the phone is attached - consequently, I never could get them all turned off. Oh well. 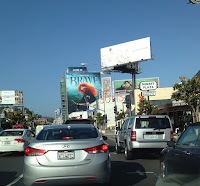 Nothing charges me like a whirlwind day in Los Angeles. The high is in the low 70ties and there’s no barbecue odors taking up the air. Bright red, purple and orange bouganvillea crawls over white walls and evergreens are shaped like steeples. I rode in a lime green taxi (like those in Bangkok) and as usual was charmed by the life we passed by - street dancers and artists, stores with odd names and promos: “Dry Cleaning Fluff and Fold,” for instance, and tons of doggie goods stores. 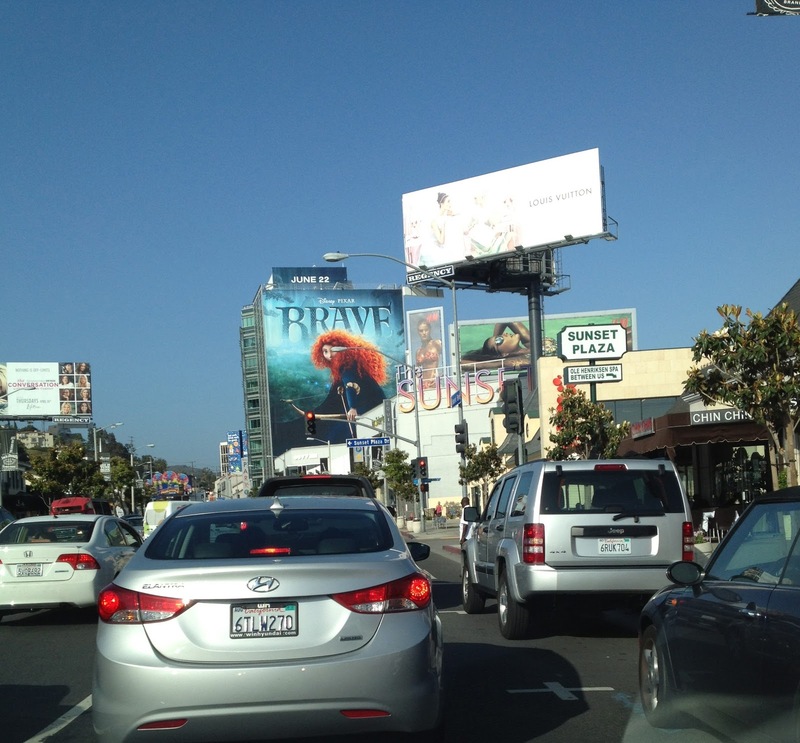 Madagascar 3 and Dark Shadows enjoy billboards as huge as buildings. Traffic jams everywhere and pedestrians dress to be seen. I have a routine. First and primary: The Beverly Hot Springs Spa, which offers hot baths from the waters of the La Brea tarpits, provides a restoration for the body for 125 dollars. (That’s cheap anywhere!) The Korean woman who was assigned to me for two hours so scrubbed my body that I ended up a different color. The soft milky creams poured over me and intermingled with buckets of hot soothing water cleansed every pore and then some. As she packed ice cold cucumber mush on my face I heard my skin say Thank you, Mam. 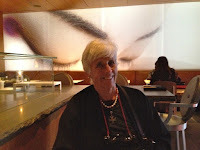 My long time friend Aviva, a jewelry designer to rock and country music stars, met me at Fred Segals and after a twirl through the Beverly Center (they have one of the Henri Bendel boutiques - there was a time when Bendels in New York was my dream store) we went to Hollywood for a sushi fest at one of the best: Katsuya. My guide and friend Jim Williams, who is in charge of my care on this amazing journey, joined us there. For a tongue dancing experience. try Katsuya’s crispy rice with spicy tuna, the crabmeat hand rolls, and salmon sashimi with caviar. The service is amazing, by handsome fit men of all nationalities dressed in all black and making amazing silhouettes with the lighting and the gigantic paintings of face parts on the walls. I was most impressed that a woman was in the sushi chef’s hat. Topping off this day was IRIS at the Kodak Theater. Cirque du Soleil is my favorite entertainment and this event, a tribute to Los Angeles’ importance in the film industry, is amazing joy, from its characters mingling with the audience - to the muscular twin aerialists who open the show by soaring above your head (we had 3rd row seats) and keeping you gasping with their twists and turns and flips and ups and downs on aerial ropes. (Well, I thought about my Aerial yoga with Karen Wilder - naw, naw, I couldn’t do what these guys do. Not even one swing. It takes a while for your heart to calm down.) I was so exhausted that I dozed through a couple exciting parts - I’ve seen IRIS before - but didn’t miss the “bug” group of men who build towers up to the rafters using themselves. I’d rather watch this than the Lakers, sorry Martha. So the luxury part of the trip is done. I’m slowly reviving. We leave today on Thai Airways for an exotic flight to Seoul, Korea, (quick stop) and on to Bangkok to change planes (and a brief night in an airport hotel) and finally arrive in Khatmandu, Nepal, where I hope to pick up the blog again - I don’t know if it’s tomorrow or when by the time I calculate hours and datelines. But Bless you til then. WE'RE STILL TRYING TO FIGURE OUT HOW TO POST A COMMENT ON YOUR BLOG. THIS IS OUR THIRD COMMENT. THE OTHER TWO DISAPPEARED WHEN WE HIT PUBLISH. WE'RE REALLY ENJOYING YOUR POSTINGS. 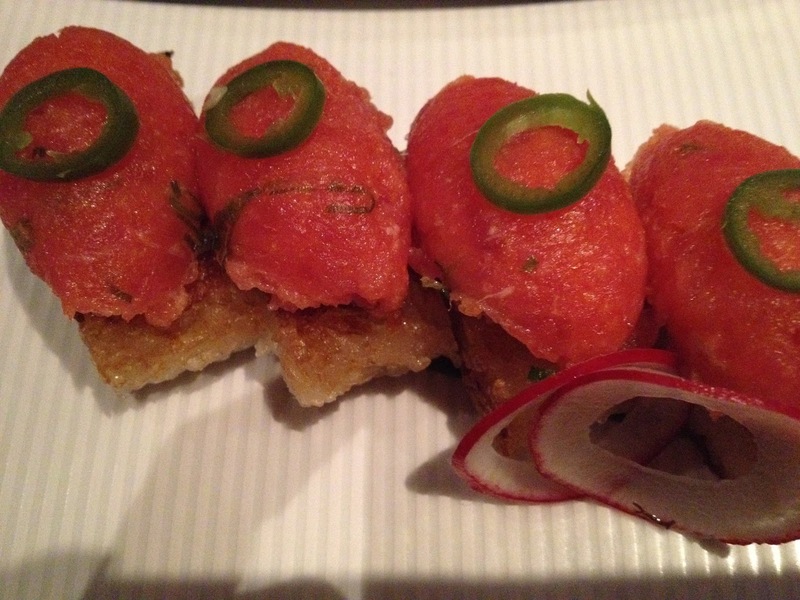 Love the photo of you at the Katsuya sushi bar. Are you really going to eat all of that exotic food?